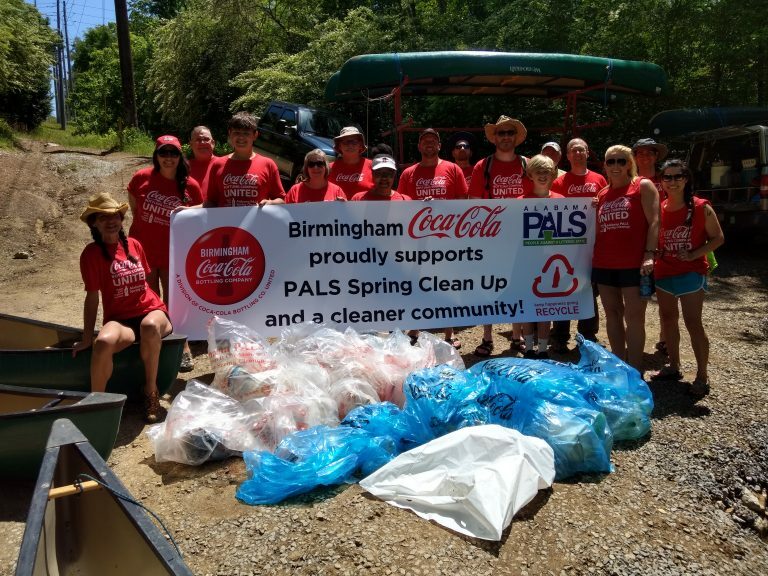 Coca-Cola UNITED will once again partner with Alabama PALS (People Against a Littered State) in a week-long cleanup and sustainability project to keep Alabama beautiful. The statewide environmental cleanup event, “Don’t Drop It On Alabama,” will take place April 20-27 this year with the help of our partner, PALS, which also coordinates the Alabama Coastal Cleanup, the Alabama Clean Campus Program, the Alabama Adopt A Mile program, and the Alabama Adopt A Stream program. There will also be a Cahaba River cleanup on June 8th. The cleanup project consists of two parts: litter pickup efforts and a recycling initiative. The litter pickup will take place in all 67 counties of Alabama, and the recycling initiative will take place in 25 cities and counties in the state. We are excited about adding the recycling initiative this year! In the past, various logistical and infrastructural hurdles posed challenges in meeting our targeted effectiveness. To clear these hurdles, we’ll be offering recycling for plastic bottles at 13 of local Coca-Cola bottlers in our UNITED family, as well as providing recycling bags for cleanups. Additionally, we’ve had an increased number of our people volunteering to help in the cleanups and recycling recovery in their local communities. 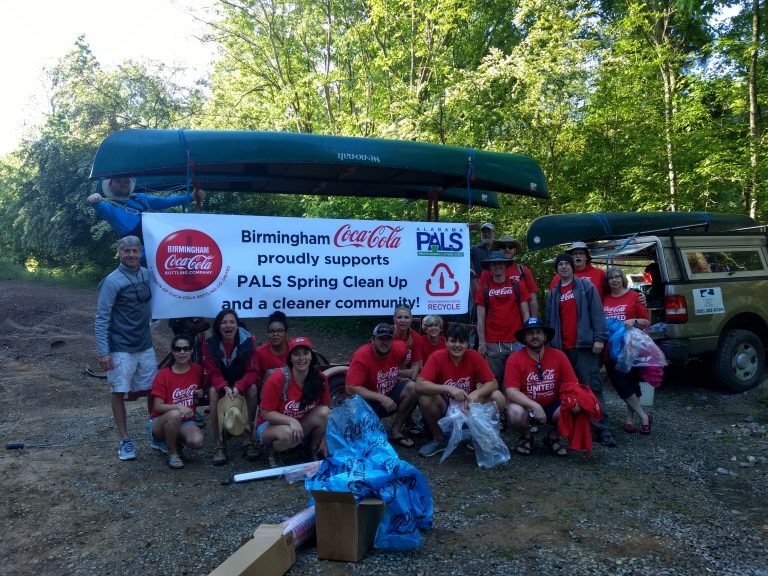 In preparation for the 2019 cleanup, PALS has assisted us in distributing approximately 190,000 Coca-Cola UNITED branded recycling bag to participating Alabamians, in addition to materials and supplies to participating cities, counties, and volunteer groups. This year’s Spring Cleanup event would not be possible without the support of PALS sustaining partners, ALDOT, ALFA, Alabama Farmer’s Cooperative, Vulcan Materials Company, Honda Manufacturing of Alabama, the Association of County Commissions of Alabama, and The Poarch Band of Creek Indians. 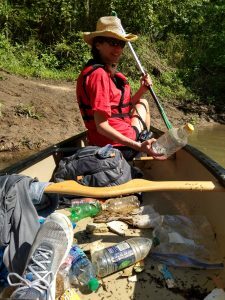 Last year, we partnered with PALS to clean Birmingham’s Cahaba River—one of the most important waterways in central Alabama. We were happy to make an impact with this project, and we are excited to make an even bigger difference as we expand our footprint for the 2019 cleanup. Across 65 of Alabama’s 67 counties, six hundred tons of litter were removed from the ecosystem during last year’s cleanup. That’s huge! We are supposed to be “Alabama the Beautiful”—so let’s be sure to create that reality! This year’s Spring Cleanup will take place in 250+ locations across every county and will include 20,000 volunteers. Spring Cleanup rPET t-shirts with the Coca-Cola UNITED and PALS branding will be supplied to volunteers on the April cleanups and to Dothan volunteers, if supplies allow. Our ongoing recycling initiative will include 25 cities and counties, which is four more cities and counties than we had last year. We hope that you can join us in this statewide effort to improve the environment in the beautiful area that we call home! To volunteer, contact your local coordinator to join an existing group or to establish your own local cleanup! You can do so through alpals.org or by contacting the Coca-Cola UNITED team.